He wrote on Instagram: “Thinking about Assata Shakur on her 71st birthday. She wrote the second book that changed (and saved) my life. She taught me about the value and power of Freedom Dreams. She showed me the beauty of struggle. And she proved that ‘a wall is just a wall. and nothing more at all. It can be broken down.’” He added: “I pray for her continued safety and protection. I continue to work to demonstrate her innocence. And I implore the State to stop prosecuting an unjust and unfair campaign against one of our most treasured Freedom Fighters. Thank you Mama Assata. Wishing you 100 more years! 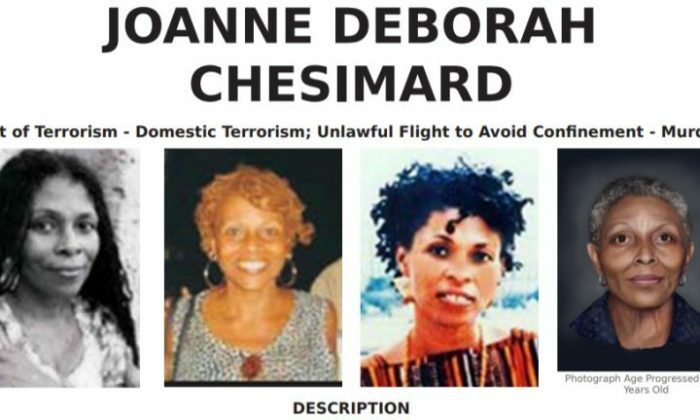 A former member of the Black Liberation Army, Shakur, whose real name is Joanne Deborah Chesimard, was convicted of first-degree murder of State Trooper Werner Foerster during a shootout on the New Jersey Turnpike in 1973, according to the FBI. “At the time, Chesimard was wanted for her involvement in several felonies, including bank robbery. Chesimard and her accomplices opened fire on the troopers. One trooper was wounded and the other was shot and killed execution-style at point-blank range. Chesimard fled the scene, but was subsequently apprehended. One of her accomplices was killed in the shoot-out and the other was also apprehended and remains in jail,” the FBI stated. In November 1979, Shakur escaped from a prison in Clinton, New Jersey, while serving a life sentence for murder. The FBI is currently offering a reward of up to $1,000,000 for information directly leading to her arrest. 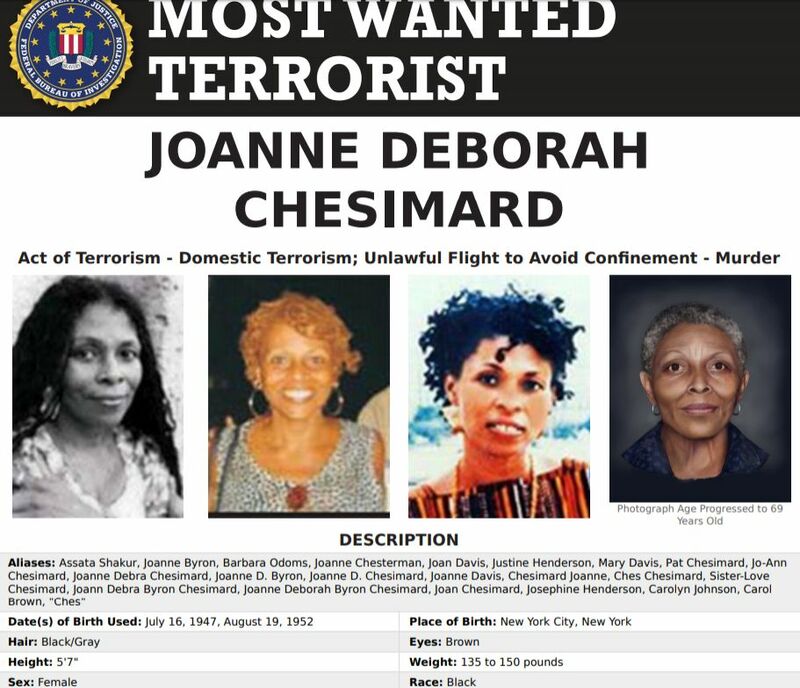 The New York Times in 1979 reported on her jailbreak: “Joanne Chesimard, a leader of a militant black group who was serving a life term for the 1973 slaying of a state trooper, escaped from a state women’s prison here this afternoon with the help of three armed men,” the lead paragraph of the story reads. “Three black men,” the Times reported, “who had come to visit Miss Chesimard, drew 45-caliber automatic pistols, seized two guards as hostages and commandeered a prison van in the escape.” Other reports at the time said they used sticks of dynamite. Shakur said she lives in Cuba, according to an interview she had with the Revolutionary Communist Group’s website in 2012. In the interview, speaking from the communist country, Shakur blasted the United States for having “all the major candidates running on a basically racist agenda.” She also praised Cuban society. “I feel very hopeful and encouraged by Cuba’s openness, Cuba’s willingness to change and grow and create,” she said. She’s also been celebrated by Black Lives Matter. Co-founder Alicia Garza wrote in 2015: “When I use Assata’s powerful demand in my organizing work, I always begin by sharing where it comes from, sharing about Assata’s significance to the Black Liberation Movement, what its political purpose and message is, and why it’s important in our context,” according to Feminist Wire. DeRay McKesson, a leader of Black Lives Matter, also praised Shakur on social media. “We watched an officer kill an unarmed Eric Garner on video. Don’t try to convince me that the justice system is just. Free Assata & Mumia,” he wrote in 2015. In July 2017, the anti-Trump Women’s March official Twitter feed also celebrated Shakur’s birthday on Twitter. Some news outlets blasted the Women’s March, saying they were praising a convicted cop-killer. Lamont Hill is a Professor of Media Studies and Urban Education at Temple University, and he also works for BET News and CNN. In the comments section of his Instagram page, he was criticized for praising her.